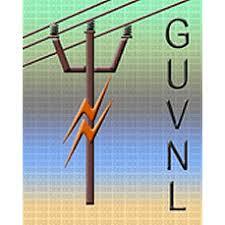 Gujarat Urja Vikas Nigam Limited (GUVNL) has published Advertisement for below mentioned Posts 2018. Other details like age limit, educational qualification, selection process, application fee and how to apply are given below. Qualification: B. E., B. Tech. in Computer Science/ Information Technology, Electronics & Communications or BE (Electrical) with Postgraduate Degree in Computer / IT from a Premier Institute or a recognized University. Experience: Candidate must possess minimum 20 years’ experience in the field of IT and 5 years’ experience of implementation of ERP in a large multi-locational organization. Experience of implementation of ERP in Power utilities would be preferred. Out of 20 years’ experience, the incumbent must possess experience for 05 (five) years in the capacity of General Manager/ Vice President. Age Criteria: The upper age ceiling is 50 years from the date of application. Experience: 15 (fifteen) years’ post-qualification experience in a Central / State / Public Sector Undertaking or in a Public Limited Company having a turnover not less than Rs. 500 Crores per annum. Out of 15 years, 05 (five) years’ experience should be in a Senior Management Cadre of the Finance & Accounts Department. Experience in Power Sector companies shall be preferred. Age Limit: 45 Years [05 (five) years relaxation in case of Reserved Category]. Pay Scale: Rs. 1,29,800 – 2,02,700 & Allowances (Under Revision). CTC: The post carries approximate CTC of Rs. 27.00 Lacs p.a. which includes liberal perks like Housing Facility, Medical Reimbursement, Leave Travel Concession, encashment of Earned Leaves, Provident Fund, Performance-Based Incentive etc. last date will not be entertained. Chief Finance Manager: The interested persons, fulfilling the requisite criteria are invited to submit the application by 24.04.2018 in the prescribed proforma, along with self-attested copies of documents mentioned in the proforma.